Ocular migraines are characterized by visual problems, known as the “aura.” You may have trouble seeing, experience zig-zag lights that aren’t really there, “see stars,” or have other visual effects. These may or may not be accompanied by pain. Part of treatment is learning to recognize the particular symptoms that accompany your ocular migraines. 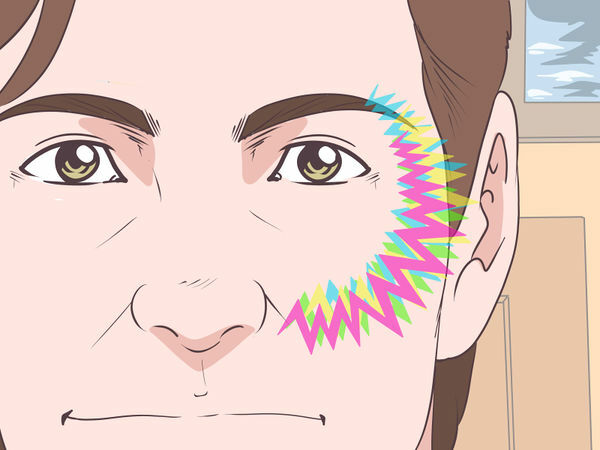 The aura phase usually takes place in the 10-60 minute window before the ocular migraine begins. 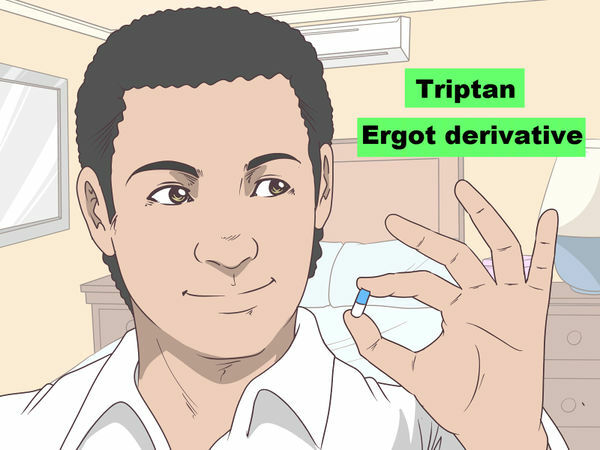 Your doctor may have prescribed you a medication (usually a triptan or ergot derivative) to take whenever you start to have a migraine. If so, take this as soon as you experience the onset of the aura. Doing so may stop the headache, nausea, or other symptoms that may follow the aura phase. These prescriptions are available in a variety of forms: pills, dissolving tablets, sprays, or shots. Make sure to follow your doctor’s dosing instructions. You should not use these medications if you are pregnant or have certain types of heart disease or uncontrolled high blood pressure. 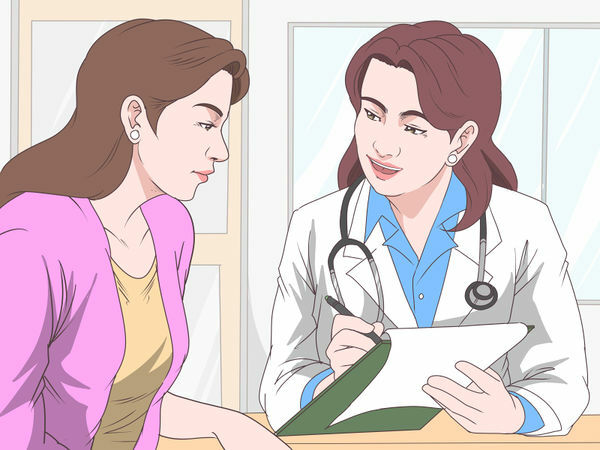 Discuss your medical history with your doctor before using migraine medication. Even if you aren’t experiencing pain or headache, find a quiet, dark place where you can close your eyes and rest as soon as you begin to experience ocular symptoms. If you know you have specific migraine triggers (such as specific sounds, smells, or staring at a screen too long), resting away from these will also help treat the migraine. Even if you can’t lie down, try moving away from bright sunlight or harsh lighting as well as noisy situations. Mild migraine pain can be stopped or at least reduced with a standard dose of aspirin, acetaminophen, or a non-steroidal anti-inflammatory (NSAID), such as ibuprofen or naproxen sodium. Follow the package instructions and do not take more than the maximum recommended dose. 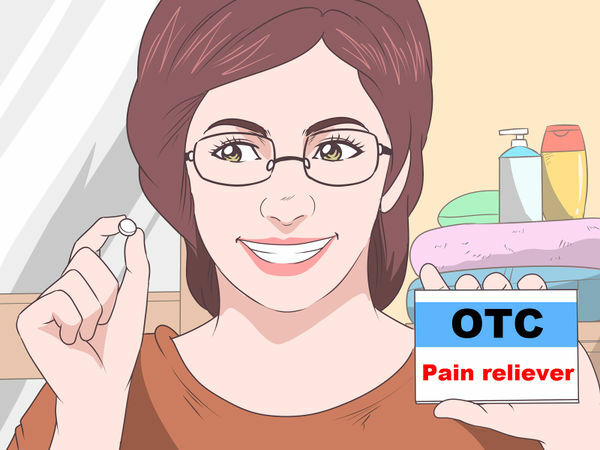 You can also take specially formulated OTC migraine pain relievers, which may combine several medications (typically aspirin, acetaminophen, and caffeine). If you are taking any other medications, talk to a medical professional about which OTC medications are safe and effective for you to use. Soak a clean cloth in cool water. Wring out the excess, then lay the cloth on your forehead or behind your neck. Leave it there for as long as the cloth stays cool to get some instant relief. Using a cold compress while lying down in a quiet, dark place can be especially effective. 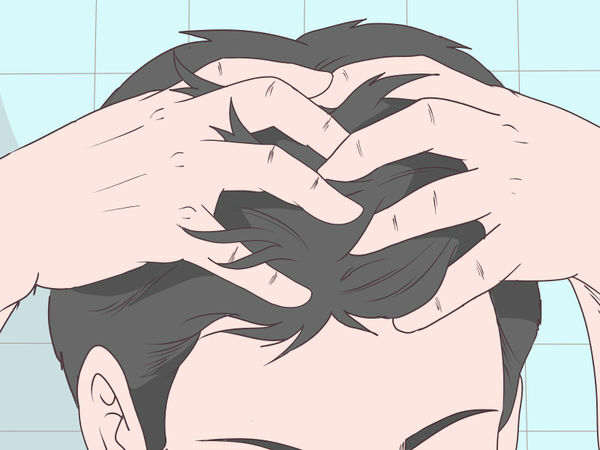 Spread out your fingers and rub them all over your scalp and temples. Push down with lots of pressure. 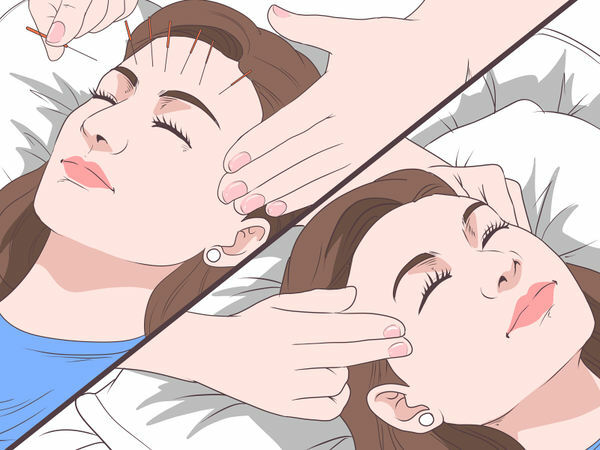 This can be a surprisingly effective way to relieve mild migraines. 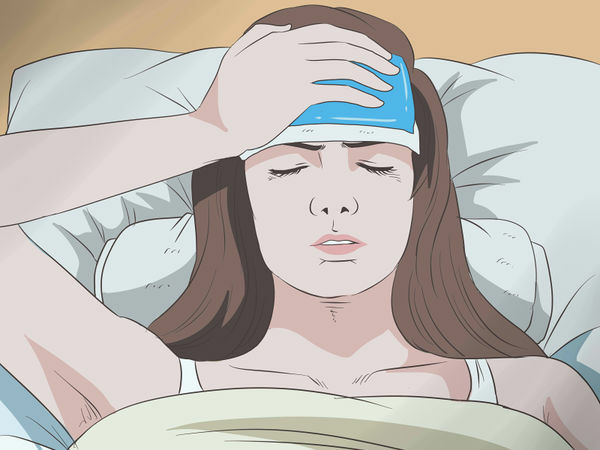 Some women find that their migraines seem to be linked to their menstrual cycle. Others will experience worsened migraines during menopause. If this is the case for you, talk to your doctor. They may advise a program of hormone replacement therapy to prevent migraines. Keep track of your symptoms using a symptoms tracker app or a diary to help you determine a pattern. This will help you decide if hormone therapy could work for you. Stress, anxiety, and depression are all sometimes linked to migraines. 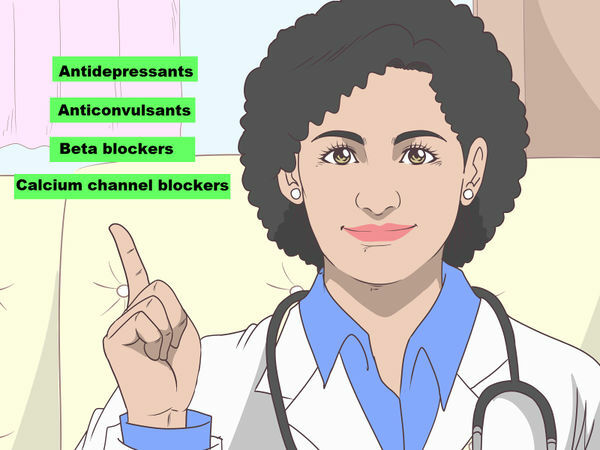 Managing these issues can eliminate the migraine problem. Cognitive behavior therapy (CBT) and “talk therapy” can both be effective at treating migraines. 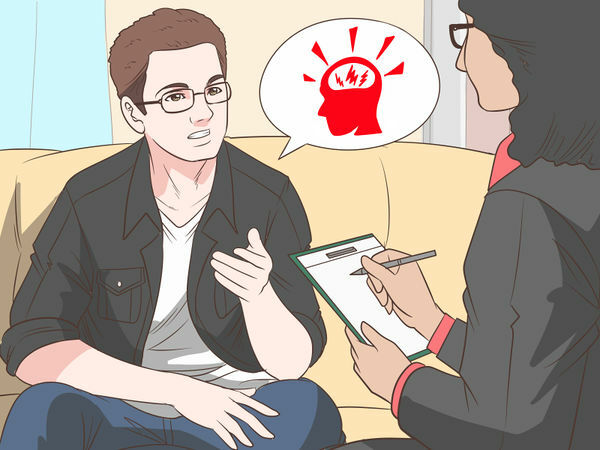 Ask your doctor to refer you to a therapist, if you aren’t sure who to see. You can also try neurofeedback. Researchers still don’t know exactly what causes migraines, but they seem to be linked to environmental factors. 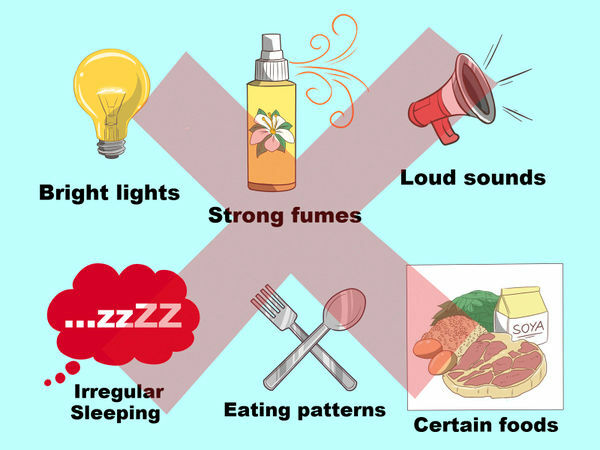 Triggers include things like bright lights, loud sounds, strong fumes, irregular sleeping and eating patterns, and certain foods. If you know what sorts of things tend to cause you to have a migraine, you can avoid or manage the triggers. For instance: If bright lights trigger your migraines, reduce the amount of time you spend in full sunlight, in fully lit rooms, or looking at screens on computers, smartphones, and tablets. You can also buy different colored lens that will block certain wavelengths that cause issues for you. If you tend to have migraines when you are tired, get on a regular sleep schedule so you go to bed and wake up at the same time everyday. Certain activities and habits can make migraines more likely, frequent, or severe. Eliminating these from your life can help stop your migraine problems. Limit your consumption of alcohol and caffeine. While some patients benefit from minimal caffeine consumption, partaking more than 3 times per week can increase migraines. Stop smoking. 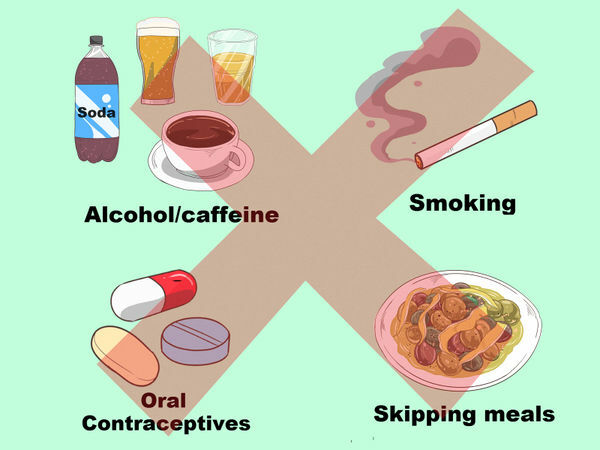 Stop using oral contraceptives. Don’t skip meals. Acupuncture can help lower pain, while massage may lower the frequency of migraines. Everyone responds differently to treatment, so do what works for you. You can even try self massage. Some vitamins and minerals can help prevent migraines. Vitamin B-2 (riboflavin), Coenzyme Q10, and magnesium are all great options. 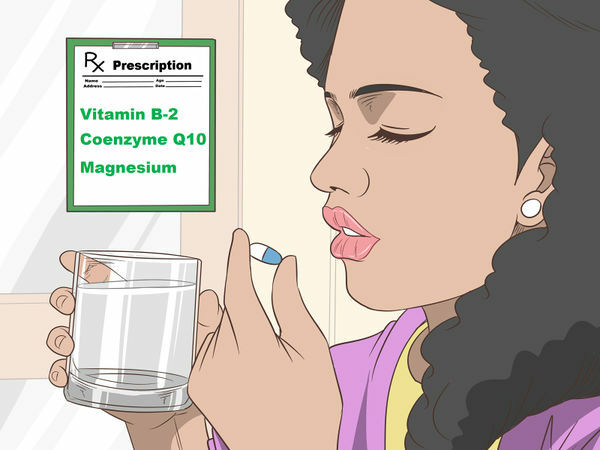 Always talk to your doctor before taking any vitamins or supplements. Your doctor can help you determine a proper dosage to meet your needs.